I've made so many of these bags over time in both the large and small sizes. I use one to keep all my hand sewing supplies all in once place and the other holds my knitting supplies! I first learned how to assemble these bags by following this wonderful tutorial at Pink Stitches. For this post, I'll focus on tips and techniques that have helped me be successful but please refer to the Pink Stitches tutorial for all the steps to make the actually boxy bags. A zipper at least 14'' long. For this bag, I used this great Paris fabric I had in my stash. Tip #1 - Two pieces of the fusible fleece gives your bag great body and it will stand up well! I quilted straight lines an inch apart. I love the texture this gives to the bag. 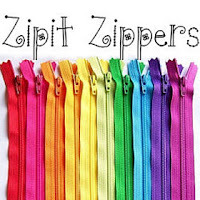 Tip #2 - Stock your zipper stash with zippers slightly larger than you will need and then cut your zipper to size and put a double fabric zipper stop on both ends following the zipper tutorial. Tip # 3 - You'll be stopping and starting 1/2'' from either edge when you install the zipper so make sure you mark it on the wrong side so you don't forget. Tip #4 - When assembling the sides, sew the exterior panel first at 3/8'' seam. The lining is then sewn at 1/4'' seam. Tip #5 - Use a tool such as this Clover Hera Marker to keep fabric out of the way when sewing. Keep those fingers out of there! Tip #7 - For the handles, cut a fabric strip at 3 1/4 x 7 '' for the large . Cut a piece of fusible 1 1/2'' wide with a length matching (or longer) than your fabric. I find these boxy bags to be quite addictive. It feels like magic to me when you turn the bag inside out and get such a great boxy shape! I'll be making several of these bags myself this year for holiday gifts! 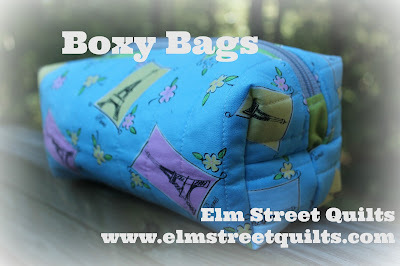 We'll talk more on a post later this week on the dimensions and tips for making a smaller boxy bag. 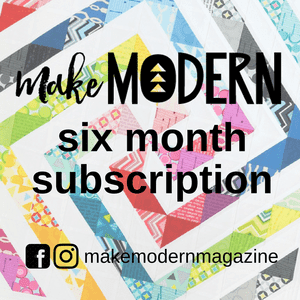 These smaller ones are so cute and I am confident that you'll want to make more than one! A few years ago, I decided to start adding handles to my boxy bags. For the life of me, I couldn't figure out how to insert them during construction - I just could NOT wrap my mind around the steps. I couldn't find, at that time, a tutorial that showed the placement, so I ended up buying a boxy bag pattern so I could learn how to do that one step - LOL! 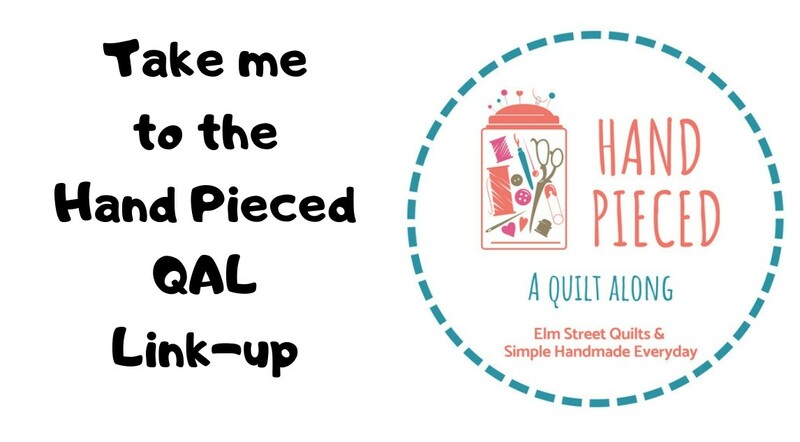 I have made two of those from the Pink Stitches blog and they both get used weekly :) I like your series, will try to play along this week at some point. Traveling really messed up my schedule! Super cute bags. 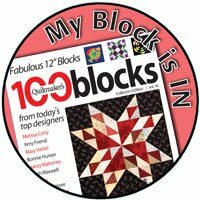 I also think these are great bags to incorporate free-motion quilting, giving everyone a chance to learn/improve their FMQ skills. I like to add pull tabs at the end of my zips on this style of bag. Makes it easier to open/close. 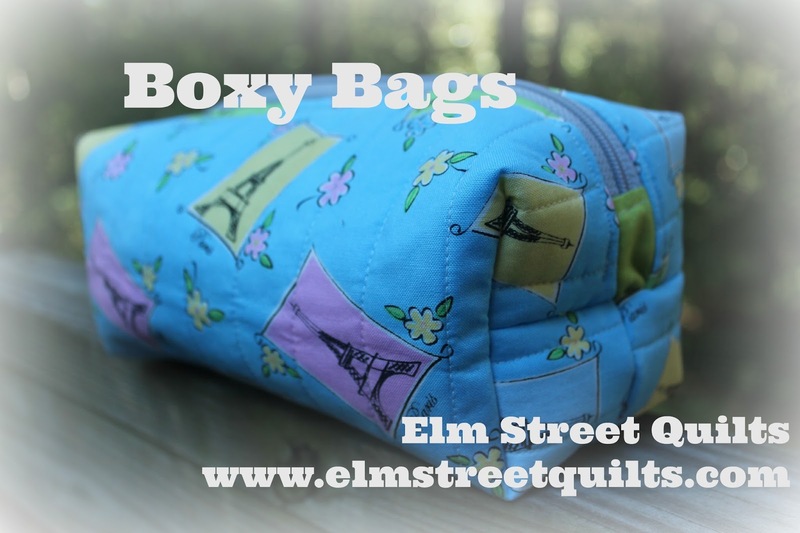 I'll definitely be making some of the boxy bags. I'm really enjoying your Bag It series. Learning lots of new things. Thanks! Thanks so much for this series. I really love it and it is so much fun to sew those bags. Is there a way that we could link up our blogs openly too to be able to visit other blogs and see what they do? It would be an awesome additional source of inspiration, lol! Martina, yes! I'll get something set up for that very soon. Thank you for this fun series. I have a question about the bottom seam - do we sew the interior and exterior separately (2 seams)? If so, do we just leave a section unsewn in the interior to turn the bag and close the whole seam of the exterior right away? The tutorial for this is at the Pink Stitches blog. (Link in my blog post.) But yes, that is right. You leave room in the lining fabric to turn the bag inside out. The large handles are a great idea, Patty. Pinning!